We are happy to offer an affordable, modern, comfortable, safe quality studio apartment for holiday rental. We would love you come and stay and relax in our studio accommodation. With it's open plan living / bedroom with queen bed and ensuite, wall mounted swivel TV (featuring Sky basic channels including movies and sport) which allows you the choice to view from either the luxury of your bed or living area. Wifi is available. All quality linen and towels provided, plus fridge, microwave, tea/coffee and toast making facilities. We also have a BBQ with a side burner, positioned undercover just outside on your patio for guests sole use. Excellent indoor / outdoor flow through double doors opening out onto the private patio. 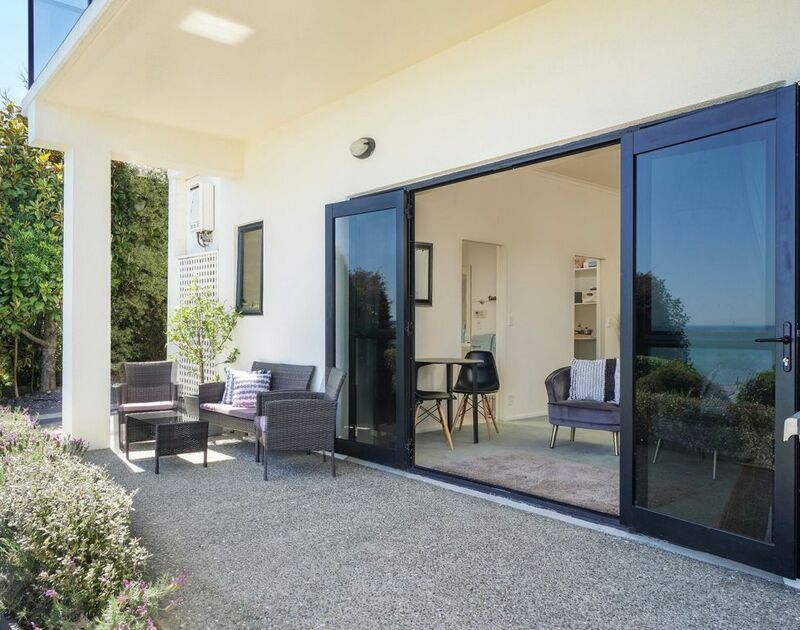 Ideal, whether holidaying, taking a break or visiting family and friends, we welcome you to take advantage of our location, excellent neighbourhood, and spacious studio so you can enjoy all that the Nelson region has to offer. Lovely host and cozy studio. View is exactly the same as the pictures on the website, beautiful. Lovely hosts. Everything we needed. Clean and tidy. Highly recommend! Beautiful property overlooking the bay containing everything I needed for a good holiday. The owners were quite friendly and helpful.